Come see this gem in Southern Hills and enjoy the open floor plan, and enormous 11,100 SF Lot!! This traditional ranch home has 4 great size bedrooms, 3 bathrooms and is a part of the Slavens K-8 award winning school district. 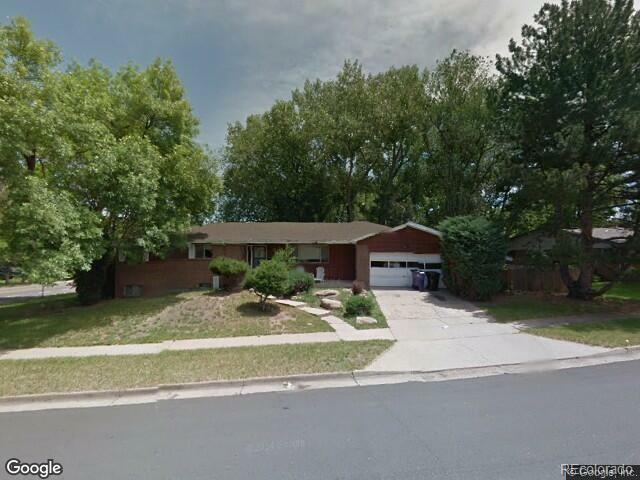 Located between Downtown and the Tech Center, this home has easy access to all the action Denver has to offer. The kitchen and dining room have fluid access to the back patio and lush backyard, which includes a storage shed and garden area as well. The basement is mostly finished with a tall ceiling height of 75, a living area, guest bedroom, bathroom, newer water heater, and plenty of storage. New Leafguard dent resistant roof and gutters installed 2016. The living room includes a wood burning fireplace, as well as oak wood floors. The main level of the home also have the original wood floors, some of which are covered by carpet. Come turn this dream into a reality and become a part of the amazing Wellshire neighborhood!! Offered by Five Four Real Estate, Llc.